UPDATED: Sat., March 31, 2018, 6:54 p.m. There are strong indications Gonzaga will remain in the West Coast Conference after months of discussing a possible move to the Mountain West Conference. 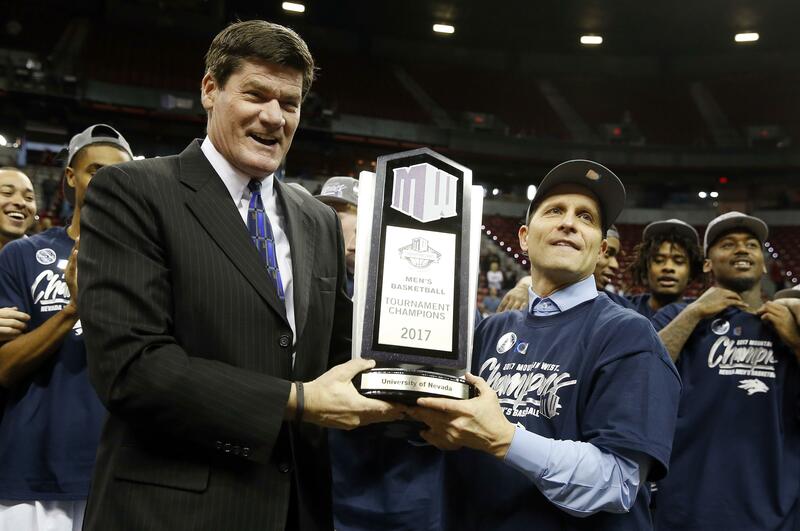 “For next season, it doesn’t look promising,” Mountain West Commissioner Craig Thompson told the San Diego Union-Tribune from the Final Four in San Antonio. “I’d put it like this: Today is today, none of us can predict tomorrow. Gonzaga officials were caught a little off guard by Thompson’s comments. They didn’t dispute that negotiations in the past week were pointing the Zags in the direction of staying in the WCC, but they were under the impression talks were ongoing. Roth expects Gonzaga to make a final decision by next week. A meeting had been scheduled for early next week in Spokane with Gonzaga, Mountain West representatives and Mountain West consultant Jeff Schemmel. It’s likely that meeting will not take place. One potential tipping point in the discussions appeared to come earlier this week when the WCC announced Gonzaga-friendly changes regarding scheduling and distribution of NCAA Tournament revenue. The WCC schedule will be trimmed from 18 games to 16 to lessen the impact on a team’s RPI during the conference season. Gonzaga’s RPI typically drops in WCC play with the bottom half of the conference carrying high RPIs. Four WCC schools have RPIs of 258 or higher and Pacific is No. 190. WCC Tournament formats for men and women were adjusted to give the top two seeds a bye into the semifinal round, eliminating the possibility of an upset in the quarterfinals that could damage a team’s NCAA Tournament at-large resume. “You look at what the West Coast Conference did to accommodate them,” Thompson said. “Congratulations, that’s a good deal for them. There are just some things in there that I don’t think our membership would have accepted. Gonzaga, which has played in 20 consecutive NCAA tournaments, is expected to pocket a larger portion of its shares if it advances in the tournament. The San Diego newspaper, citing an unnamed source, reported Gonzaga would receive $1 million per year in back shares. The Zags stood to lose about $7 million from NCAA Tournament units through the 2018 season if it joined the Mountain West. Wichita State and Butler experienced similar situations when they changed conferences. One of Gonzaga’s biggest concerns centers on the Mountain West’s television contracts. The MWC has agreements with ESPN networks and CBS networks with the majority of its conference games aired on CBS Sports Network, many with later start times. Gonzaga’s WCC games and many of its marquee nonconference matchups are televised on the ESPN family of networks, which reaches more homes than CBS Sports Network. ESPN has also had a hand in helping Gonzaga schedule some nonconference contests. The Mountain West is stronger than the WCC from top to bottom, but it isn’t a huge gulf. The Mountain West is No. 9 in conference RPI with the WCC at No. 13. Gonzaga was the WCC’s lone NCAA Tournament representative this season while the MWC had two, Nevada and San Diego State. Published: March 31, 2018, 5 p.m. Updated: March 31, 2018, 6:54 p.m.